Verizon may have killed off its Wear24 Android Wear watch only a few months after releasing it, but that doesn’t mean it should be completely ignored if found for ridiculously low prices. Say for example, if a daily deals site had one for $99.99 – that’d be a pretty decent price right? What if you could cut that in half and own a Verizon Wear24 for just $49.99? Yep, that’s “ridiculous” territory and you can find it for just that right now. 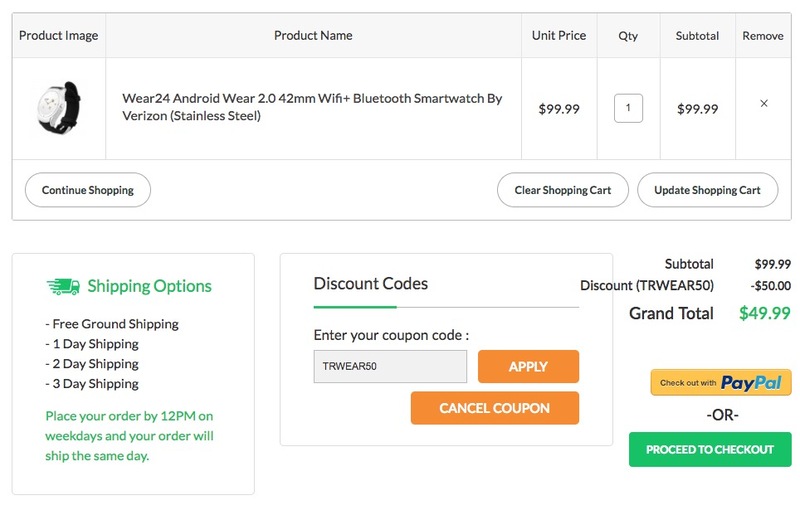 The deal site is called TechRabbit and if you plugin code “TRWEAR50” at checkout, the price will drop from $99.99 to $49.99. You can then have it shipped for free or pay to have that process sped up some. TechRabbit even claims to be able to ship same-day, as long as you get your orders in before 12PM. NOTE: I’ve never ordered anything from TechRabbit before (and had never heard of them before today), but reviews around the web seem OK.
Now again, I know that Verizon killed this watch pretty quickly. However, at $50, I’d still consider buying one myself. I’ve used the watch off and on for a couple of months since it released and actually kind of liked it. The design, size, and shape are all fantastic, as well as its specs. 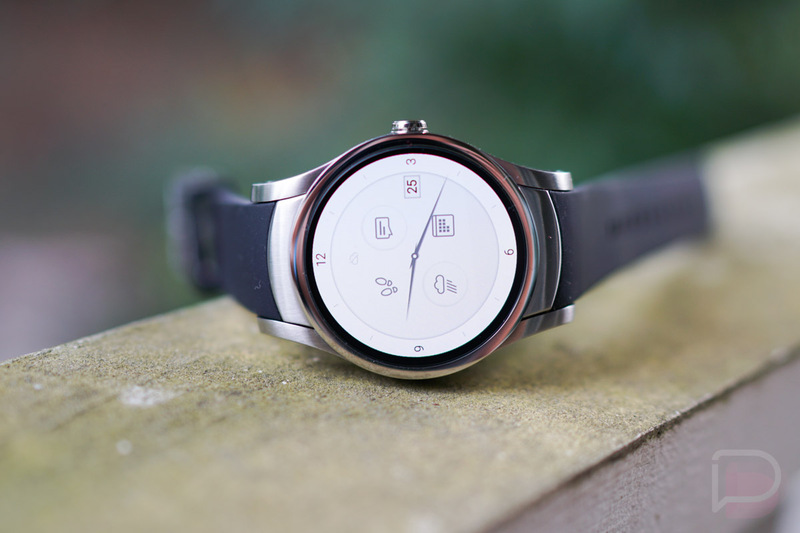 It apparently was terrible at that whole 4G connectivity thing and making calls, which were supposed to be its highlight features, but as an Android Wear device without that, it’s pretty solid. And no, you don’t have to sign-up for Verizon service to use this, you can just use it like any Android Wear watch on WiFi and over Bluetooth. The deal currently works on two three colors available: Gunmetal Black, Rose Gold, and Stainless Steel.